ISIS has obtained commercial satellite imagery from GeoEye that further narrows the time frame during which Iran would have begun construction of the Fordow uranium enrichment facility. An analysis of a June 10, 2006 GeoEye image does not show any construction activity, indicating that construction of the enrichment plant had not yet begun as of that date (see figure 1). ISIS previously reported that satellite imagery indicated that construction had begun sometime within an 18-month time period between January 30, 2006 and June 17, 2007, where the June 2007 image shows a resurgence in construction activity (see figure 2). This new imagery narrows the construction start date to a one-year time frame between June 10, 2006 and June 17, 2007. 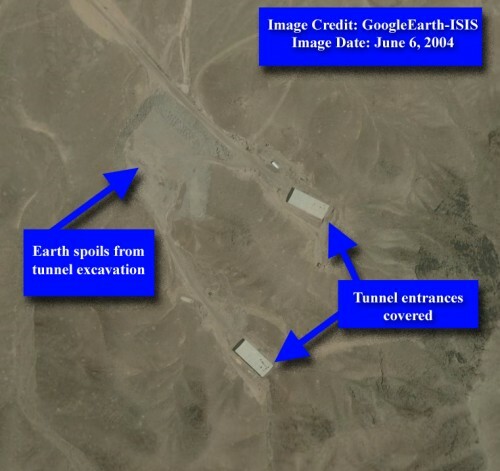 According to the IAEA report, Iran told the IAEA that the construction of the Fordow enrichment facility had begun in the second half of 2007. The June 17, 2007 satellite image, however, already shows the resurgence of construction activity that was very likely directly associated with the design work construction of the enrichment facility (see figure 2). June 17 is almost two weeks before the beginning of the second half of 2007, and judging by the amount of construction materials visible in this image, construction would have begun at least several weeks, and possibly months prior. Assuming that Iran recognizes July 1st or 2nd as the middle of a year, it appears as though Iran’s statement to the IAEA that construction of the enrichment facility had not begun until the second half of 2007 is not accurate. 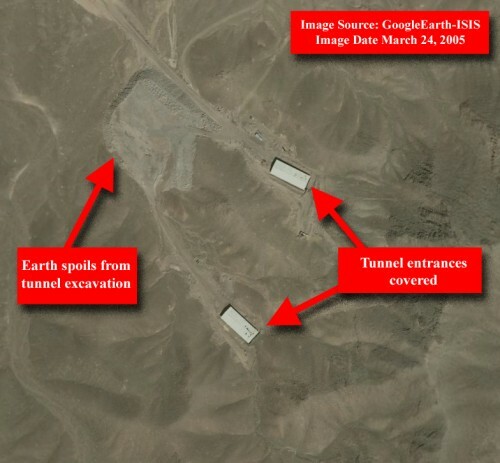 It is also important to ascertain when Iran made the decision to build the covert enrichment plant, which, along with other types of design work, could have occurred at any point before construction activity is visible in satellite imagery. Iran should provide documentation to the IAEA in order to help it confirm when this decision was made. 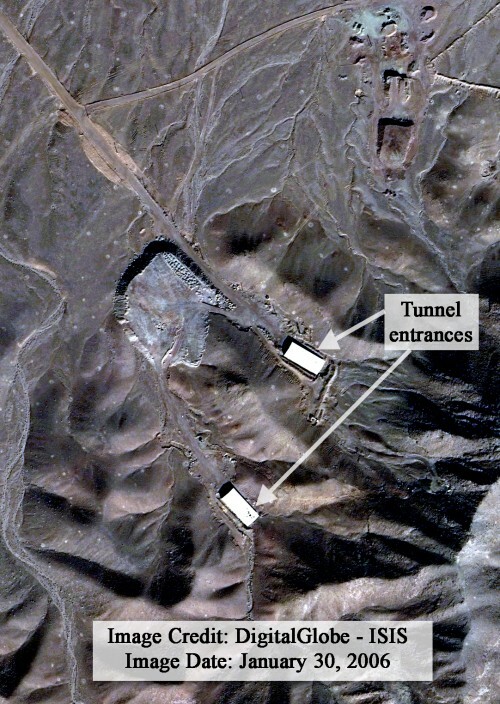 The IAEA noted that, according to commercial satellite imagery that it had acquired, construction of the original covered tunnel entrances began in 2002 and continued to 2004. 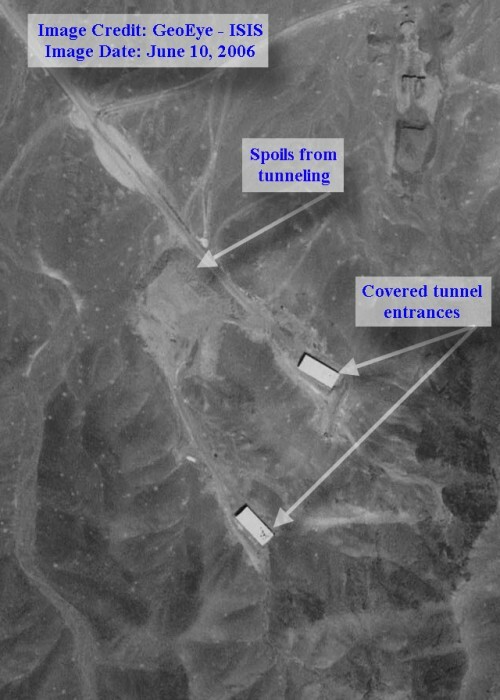 Since these covered tunnel entrances were in the same location as the much larger entrances constructed later, Iran should provide documentation to the IAEA in order to help it confirm whether or not these early construction activities were associated with the construction of the Fordow enrichment plant. Iran told the IAEA that it had built “contingency centers for various organizations and activities” as a result of “the augmentation of the threats of military strikes,” and that the AEOI “allocated one of these aforementioned sites for the purpose of [a] contingency enrichment plant.” Iran should provide documentation to clarify for the IAEA at what point in time the site of the “contingency center” at Fordow, which is probably a reference to the covered tunnel entrances that had been built between 2002 and 2004, became a “contingency enrichment plant”. Figure 1. GeoEye satellite image from June 10, 2006 of the Fordow site. There does not appear to be a resurgence of construction activity as of this image date. Figure 2. DigitalGlobe image from June 19, 2007 of the Fordow site. 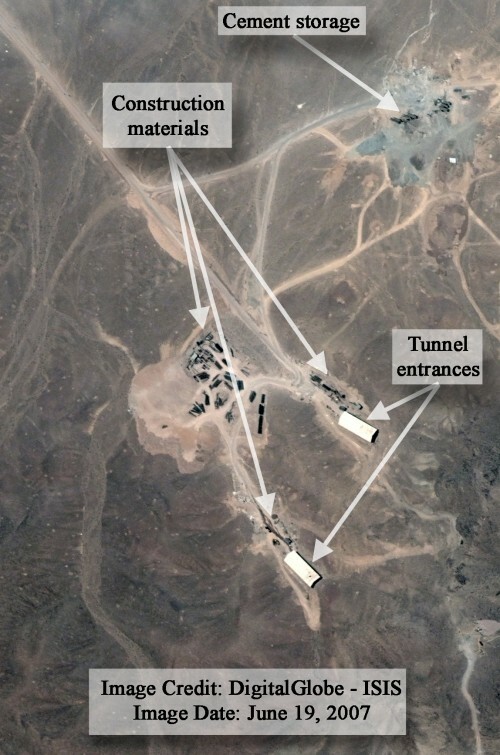 There are construction materials and possible cement storage visible at construction staging areas near the tunnel entrances. Construction of the Fordow enrichment plant had likely begun as of this image date. Figure 3. GoogleEarth image of Fordow facility from June 6, 2004. Two covered tunnel entrances and pile of earth spoils can be seen in the image. Figure 4. GoogleEarth image from March 24, 2005 of the Fordow site. The same two covered tunnel entrances can be seen, as well as the pile of earth spoils. There does not appear to be much progress at this site between June of 2004 and March of 2005. Figure 5. January 30, 2006 DigitalGlobe image of the Fordow site. There does not appear to be much difference between this image and the images from 2005 and 2004 (figures 2 and 3). Construction of the Fordow enrichment facility does not appear to have started as of this image date.